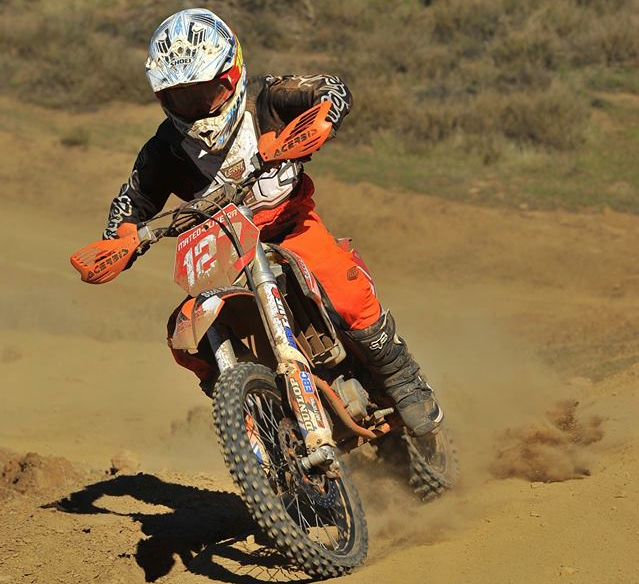 Feb 13/14 2016: Round 2 of the Kenda/SRT West Hare Scramble Championship returned to Northern California’s District 36, home of the Picacho Creek Hare Scramble hosted by the Salinas Ramblers. 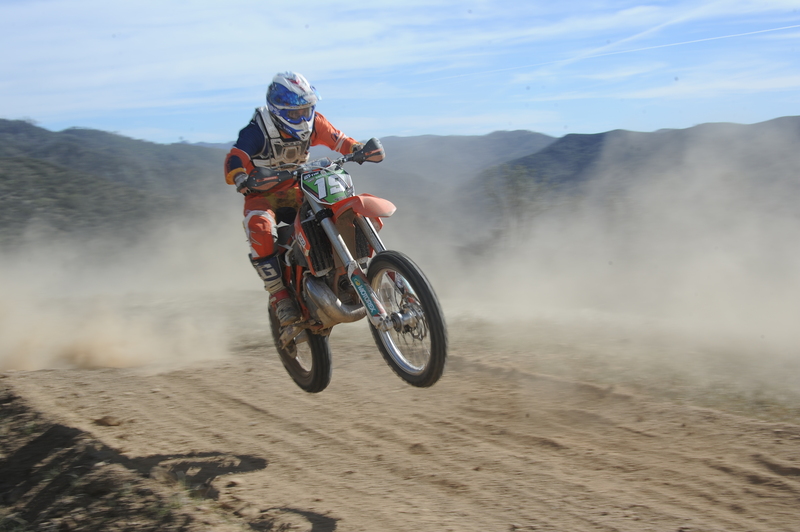 Established in 1934 the Ramblers have had a long history of putting on National caliber events including the Quicksilver National Enduro. 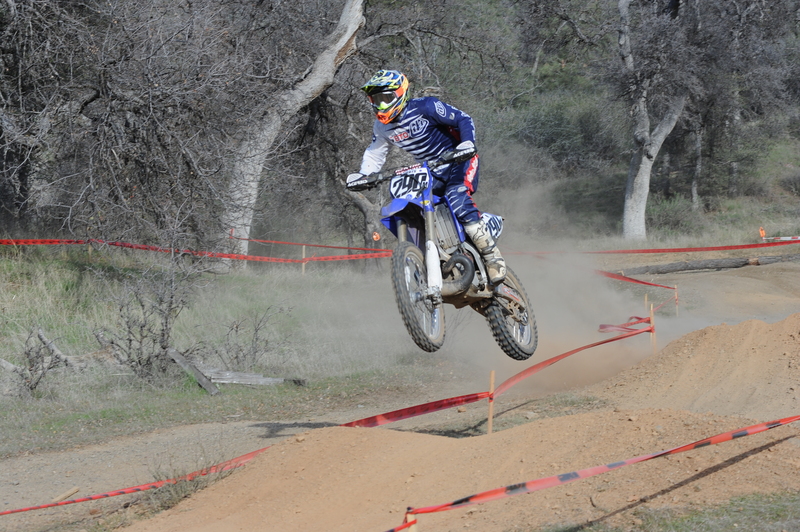 This past weekend was no exception with 14 miles of the toughest single-track most riders will see all season long! 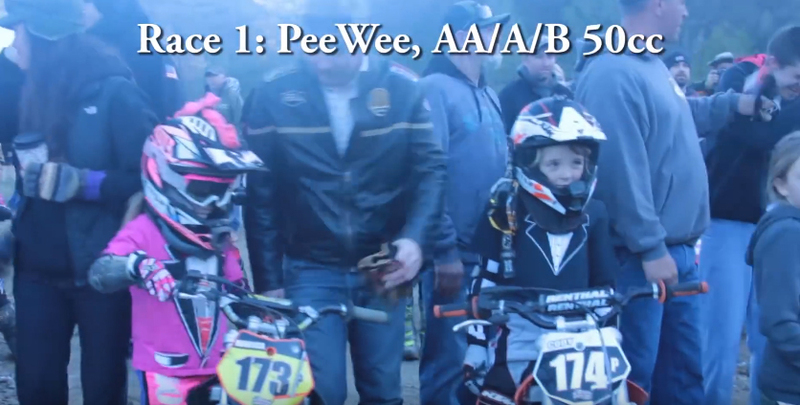 The weekend would start off with our youngest riders in the field, the pee wees! 4-8 years old on 50cc machines the racers took on the 2.5 mile course complete with river crossings, rock sections and even an escargot just before the finish! Cody Ward would get the early lead but would come up short with a DNF handing the lead over the Wyatt Burns. On the final lap in the escargot Elizabeth Edwards would make a surprise pass for the lead and take the checkered flag seconds ahead of Burns! Nor Cal MC’s Lowe Lord wold round out the top 3 coming from 7th on the first lap. 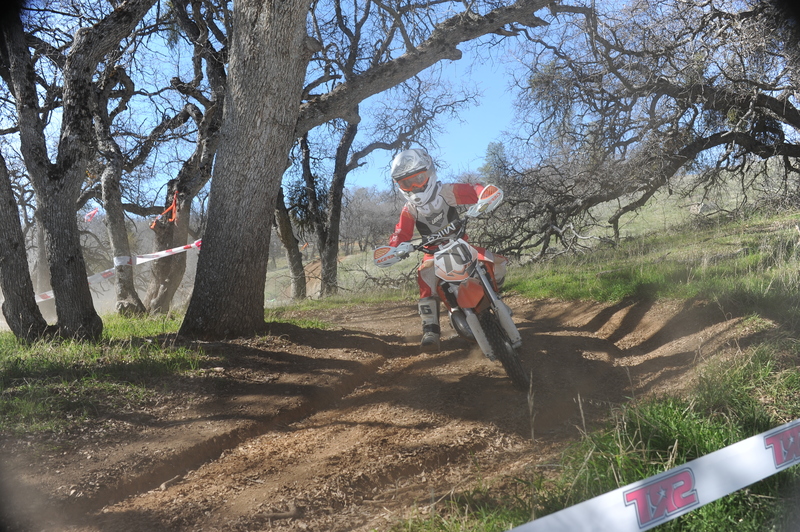 The next race on course receiving AMA points were our Jr. Racers. 7-11 65s, 85s and Girls took to the much longer, much more technical 4.5 mile course. Steve Brunton would get off to the early lead but again a DNF would hand over the battle to Motocross Direct’s Evan Slosser aboard Husqvarna TC 85 with the FMF/DT1 backed KTM 65 pilot Tallon Van Valkenburg hot on his heels. Lots of bar banging and battling would ensue for the next hour and 10 minutes until a medical emergency – rider down on course – called for an early checkered to the race. Slosser would go on to take the Jr Mini Victory followed by Van Valkenburg who would take the win in the Micro Mini class just 10 seconds back. Shane Haywood and Talon Terlouw would round out the Jr Mini Podium with Wyatt Mattock and Tyler Mashbir 2nd and 3rd in the micro mini class. 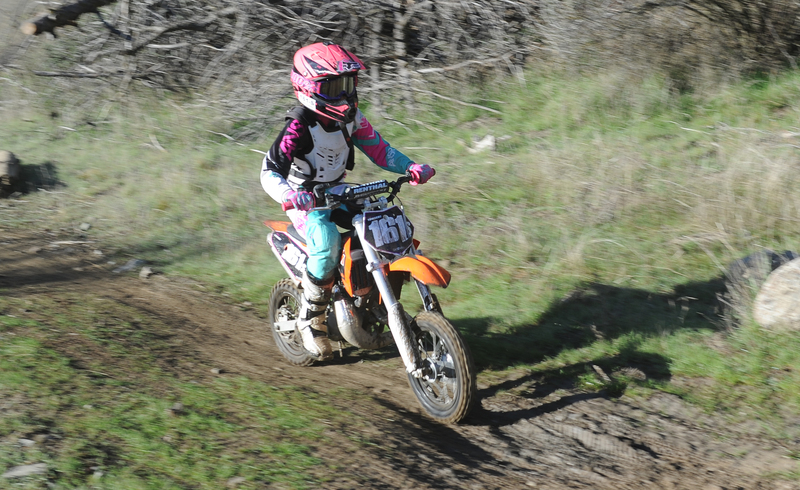 The final race of Saturday would see the fastest Youths in Off-road do battle! Big Wheel, Mini and Girls from 12-15 on the same 4.5 mile course putting down close to 11 minute lap times! Off the start 2015 Jr Mini Champion Logan McChesney would get the early lead but it looked like it was going to be all Logan Campbell as he had a 17 second lead at the 1 mile mark but a cracked head would sideline him. Mateo Oliveira would take over and never look back, very similar to how he took the win at Round 1. The battle for the rest of the podium would be the one to watch now with McChesney battling with 707 Suspension team mate Wiley Kirk all the way to the finish. McChesney would finish just over a minute ahead of Kirk besting his 5th place finish a round earlier. The Girls battle would also be a great one with Haley Knott and Bailey Rhodes going back and forth all race long. Rhodes would end up with the win followed by Jaime Helm and Macey Kulikov just behind her. The second day of competition would see all the best terrain the facility had to offer in use with a much longer 11 mile course for the Women, Masters and All C riders. They would ride the same course as the Pro’s minus the final 4 miles of extremely technical single track and the endurocross section – which many were happy to do without while others could have used to extra challenge to benefit their race. The first row off the line would be the A and B women with Garrahan Off-road Training’s Sophia Oliveira getting the early lead and having a race long battle with Sharon Mowell. Oliveira would take win after an hour and a half of racing followed by Mowell and Brianna Vinsonhaler. While the first line would be the Women racers the overall would be decided on adjusted time with the local Vintage class and C riders all doing battle just behind the physical leaders. 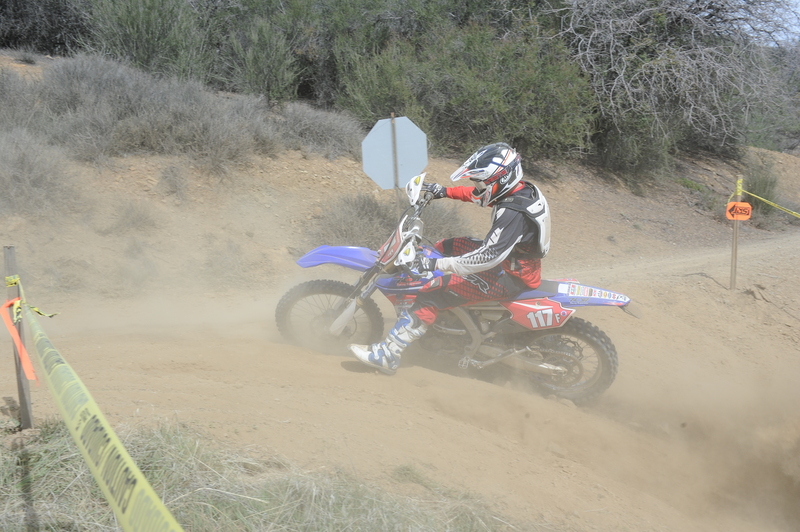 San Martin California’s Timmy Roberts would cross the finish line physically 3rd but after starting 3 minutes behind would not only take the Race 1 overall by 42 seconds but would also take the C 250 win and the local C 250 2-stroke win! The final race of the day was lined up for the 14.5 mile course and at the drop of the green flag it was KTM of Aspen’s Ian Blythe with the holeshot followed by Purvines Racing’s Nuck Burson and Sierra motorsports backed Anson Maloney onto the course. Burson would make a “hairball” pass on Blythe on the first lap and would take control while reigning champion Cory Graffunder would put his SRT Off-Road KTM 300 into 3rd. In the FMF Pro 250 Class Round 1 winner Dante Oliveira looked to have his hands full in a 4 way battle with 707 Suspension team mates Dillon Sheppard and Max Parker with SRT Off-Road’s JT Baker making an early push to lead lap 2 and 3. Sheppard would make a last lap pass and take the win by 1 second over Parker and Oliveira. Burson and Blythe would make a break from the field by the 2nd lap taking their battle out front on their own while factory Husqvarna’s Jacob Argubright would get past Graffunder on lap 2 but would not be able to hold off his advances falling back to 4th for the remainder of the race. “I felt like I rode well but these guys were just going so much faster in the trees!” exclaimed Argubright who is definitely at home in the more open terrain. Into the pits just before the end of the 3rd lap Burson would have to stop for goggles handing over the lead to Blythe and the race was on all the way to the finish. Blythe, now with clean air, would be able to push as hard as he could through the tight stuff getting the checkered flag exactly 1 minute ahead of Burson. Graffunder would come across nearly a minute and a half later followed by Argubright and RMR/KTM’s Travis Coy in 5th.